Andrea Trauboth studied piano and singing, while still at school in Munich. After graduating from High School she completed her studies in Music and Performing Arts at the Ludwig-Maximilians- Universität in Munich. At the same time, she got her first engagement at the Bavarian State Opera Munich, being the youngest member of this opera house. After her time in Munich, Andrea Trauboth was offered a two-year engagement at the Städtischen Bühnen in Dortmund. As prize-winner of numerous national and international competitions, she made guest appearances in South America and at many famous and renowned opera houses such as the Teatro alla Scala in Milan, The Royal Danish Theater in Copenhagen, the Teatro Communale in Bologna, the Marseille Opera, the Bavarian and the Hamburg State Opera, the Semper Opera in Dresden, the Vienna Popular Opera, the State Opera and Komische Oper in Berlin, the State Theater Stuttgart, the National Theater Mannheim, the Frankfurt Opera, the Vlaamse Opera in Antwerp, the Basle Theater and the Städtische Bühnen in Cologne. In 1995 Günter Krämer engaged Andrea Trauboth at the Cologne Opera House. There, she sang parts such as Agathe in "Der Freischütz", Laura in "Neues vom Tage" and Freia in "Rheingold" under James Conlon. The much sought after concert singer has sung in numerous gala concerts in Germany and abroad. She has enthralled audiences in the in Philhormonic Orchestras of Berlin, Bonn, Cologne and Stuttgart as well as in the Teatro Real in Madrid, the RAI Rom and Milan, the Teatro Verdi in Trieste, the Cardiff Hall in Wales, in Luxembourg and France and at the Festivals of Cuenca, Santander and Wroclav. Andrea Trauboth has worked with numerous distinguished conductors and directors such as Simone Young, Sawallisch, Kleiber, Klee, Stein, Hollreiser, Frühbeck de Bourgos, Dennis Russell Davies, Santi, Janowski, Kuhn, Conlon, Viotti, Chailly, Kupfer, Krämer, Everding, Horres, Mielitz and Homoki. Beside this, radio recordings with Andrea Trauboth were produced for all the major German radio stations. Her performances were broadcasted on radio and TV on RAI (Rom and Milan), BBC and ZDF. Many CD recordings of the soprano have been released. Additionally, she has taught as Professor of Voice at the University for Music in Cologne / Aachen and given master classes in South Korea from 2001-2009. Since 2004 she is Lecturer for Singing at the University of Siegen. 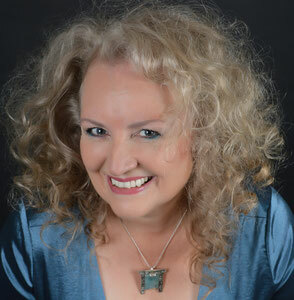 Her current repertoire includes parts such as Eva in "Meistersinger von Nürnberg", Rusalka, Katja Kabanova, Leonore in "Fidelio", Elektra in "Elektra", Isolde and Brünnhilde. Andrea Trauboths passion as singer focusses especially on the highly dramatic topics in operas, concerts and song recitals, with her penetrating voice reaching impressive dimensions. In this season she sings in Bottrop, Munich, Vienna and Berlin.